Family Owned Since 1947 | Celebrating our 71st year in 2018! Caring for someone with dementia is not an easy job. You must have nerves of steel, a heart of gold, and the ability to laugh even when things are at their worst. If you’re providing care to a loved one with dementia, they will likely never be able to express their gratitude to you for doing such an important job. Help for caregivers of dementia patients is not always readily available, and this is where you may need to rely on some helpful tips for dementia caregivers in order to maintain your own health and still feel your best, mentally, physically, and spiritually. Keep a positive mood. Just as you would care for a child with special needs, everything from your tone to your body language must be light and positive. Be pleasant and peaceful in all interactions, even if your patient is having a bad day. Redirect and distract. This may be similar to a young child who is throwing a tantrum. Redirection is key—try to get the person’s mind away from the thing they are focusing on, and replace this fixation with something else. There is a reason for all behavior. Every form of behavior from every human being on earth, regardless of medical condition, is a form of communication. If what the person is trying to say with their actions isn’t clear to you, do your best to try to figure it out. When in doubt, you can always confer with their doctor. The patient may be on a new medication or may be in pain from a different medical problem. Find different strategies. One of the most helpful tips for dementia caregivers is finding different solutions to the same problem. Dementia is hard to predict—something that works well for your patient today may fail tomorrow. Come up with multiple strategies to help get through the tough spots. Don’t argue. Don’t try to win an argument or convince the other person that you’re correct about something. Validate their reality. If the patient has “gone back in time” and is now a little girl waiting for the school bus, talk about the school bus. Engage in conversation as if what they are describing is real. Try cognitive-based games or exercising. Even in a patient with dementia, it is still possible to get them to exercise their brain and engage in physical activity. Urge them to do both, if possible. Slow down and be communicative. Talk as slowly as possible, especially if you’re trying to explain something difficult. Also, if one method of communication doesn’t work, try another, like nonverbal communication. Take a day off if possible and do something nice for yourself. Buy yourself something you really like, treat yourself to a spa day, or go for a mini-road trip. If a full day isn’t possible, then take your time off in increments. Even a 20-minute break from caregiving can give you a fresh start. Talk to others. Some days, you may find you are only talking to the dementia patient and their other health staff. Get out and be social with other people. This can definitely include a dementia caregivers support group, so you can touch base with other people who understand. Pick your battles and choose your priorities. A big part of being peaceful as you perform this job is not to sweat the small stuff. If you’re having racing thoughts or are having trouble prioritizing tasks, write them down and organize them. 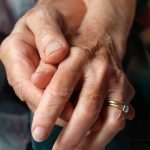 It is important to remember that quality of life is still possible for the dementia patient, for you, and for the other members of your family during this time, especially if these helpful tips for dementia caregivers are followed. For more helpful tips on being in a caregiver role, or to learn about mobility products that may even further a patient’s quality of life, contact Williams Lift Co. today.